I have a million and one things floating around at the bottom of my purse. Lip gloss, keys, change, bits of this and that—it’s all in there and it’s a big old mess. I really wanted to find some little pouches to keep everything contained but couldn’t seem to find just the right thing. So obviously, the answer was to make some. 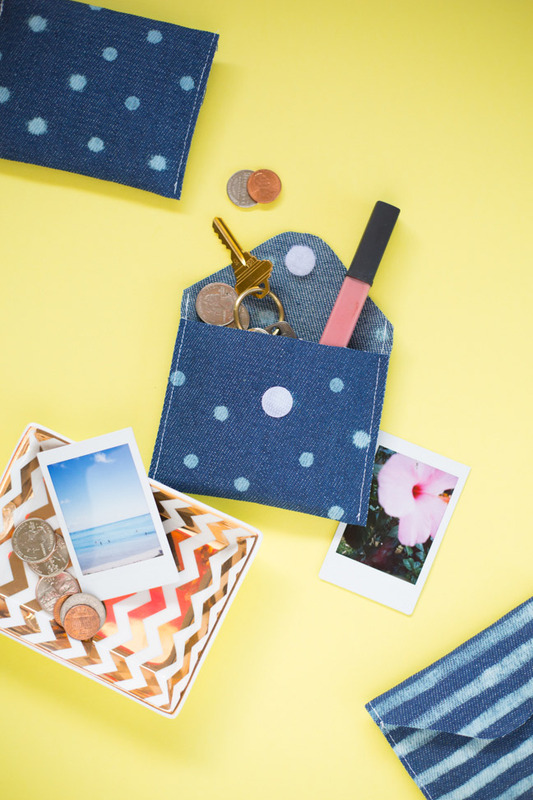 These little patterned coin pouches are a snap to make, and you can play with different patterns to your heart’s content! 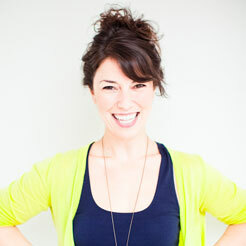 All you need is a little Clorox® Regular-Bleach, and you can polka dot or stripe everything in sight. 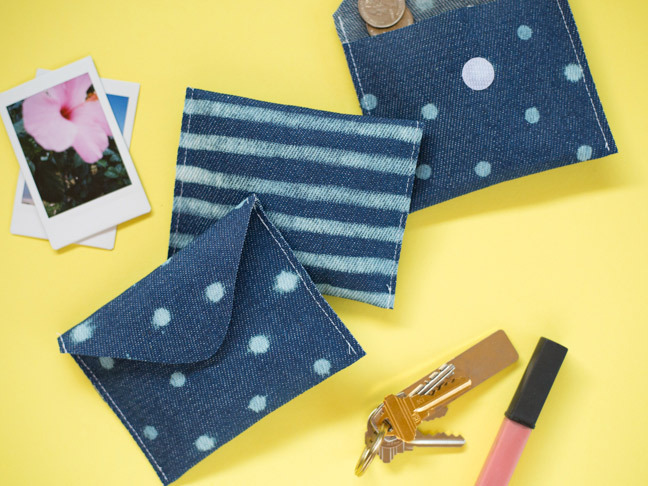 Here’s how to make your own bleach patterned fabric coin pouch. 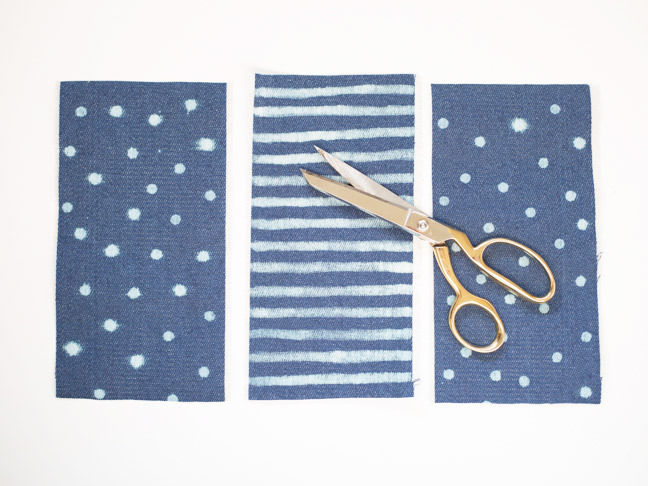 Step 1: Cut a swatch of denim to 5 x 10 inches. Step 2: Decide on a pattern. 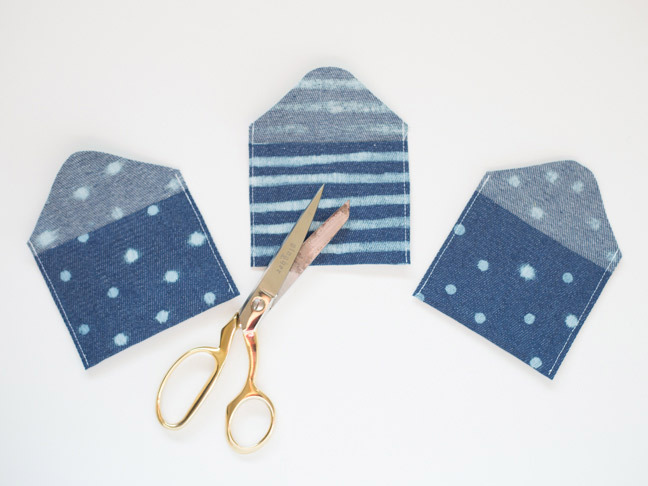 Place the denim down on top of your towel. 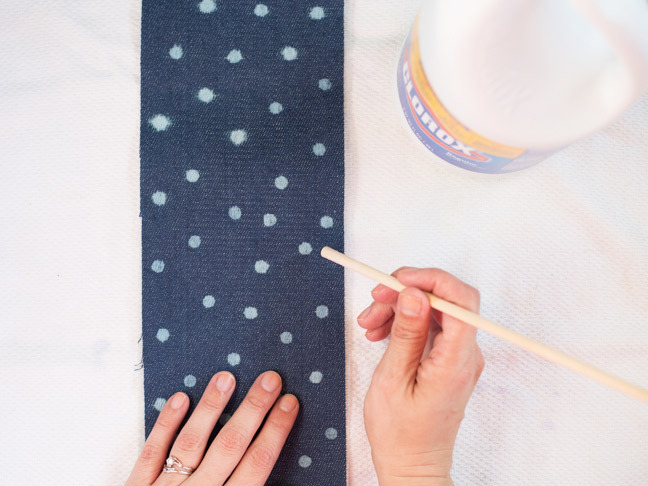 For polka dots, dip the end of the wooden dowel in the Clorox® Regular-Bleach. Tap off the excess bleach on your towel. 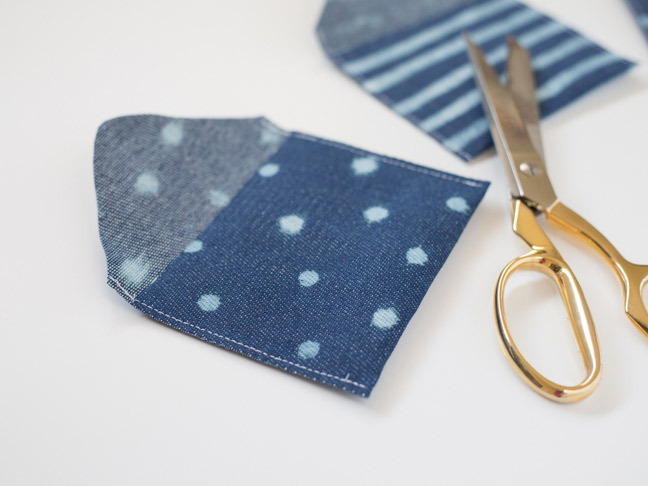 Then carefully press the end of the dowel onto your denim. Pull the dowel away, being careful not to drip. Repeat that for each polka dot! 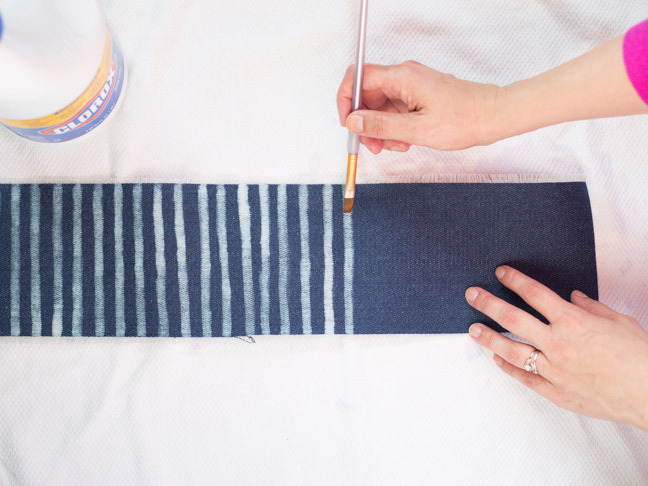 For a watercolor stripe look, use a small paintbrush dipped in bleach to paint on the stripes. While you’re working with the bleach, always be careful not to inhale fumes or splash on skin or in eyes. Step 3: Allow the Clorox® Regular-Bleach to dry thoroughly on the fabric. Rinse the fabric in cool water and lay flat to dry. Trim any long frayed edges. 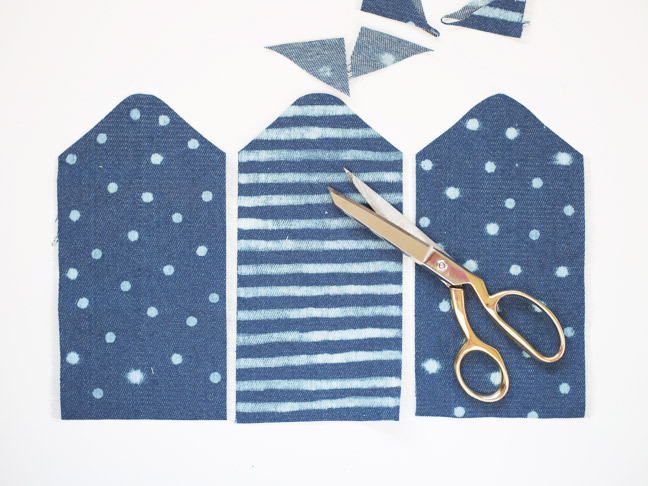 Step 4: Cut the top 2 inches of your denim into a rounded point. Step 5: Fold the bottom 3½ inches up and pin. 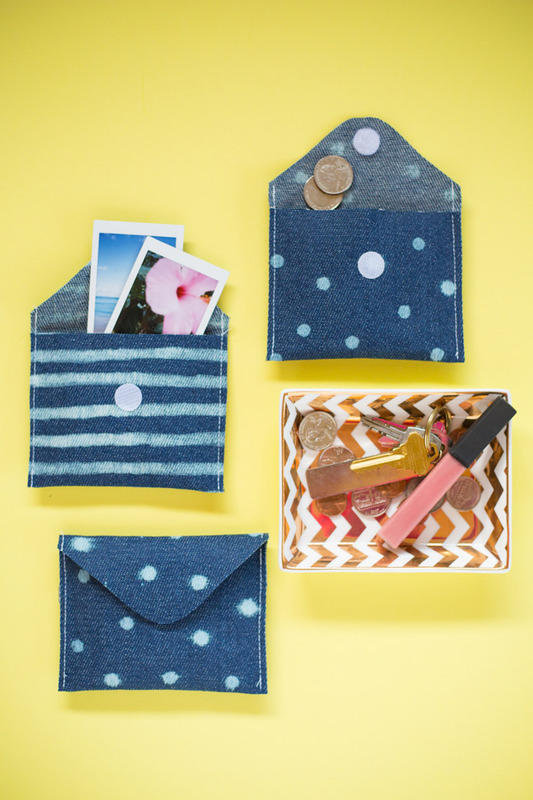 Sew a straight stitch on both sides of the pouch. 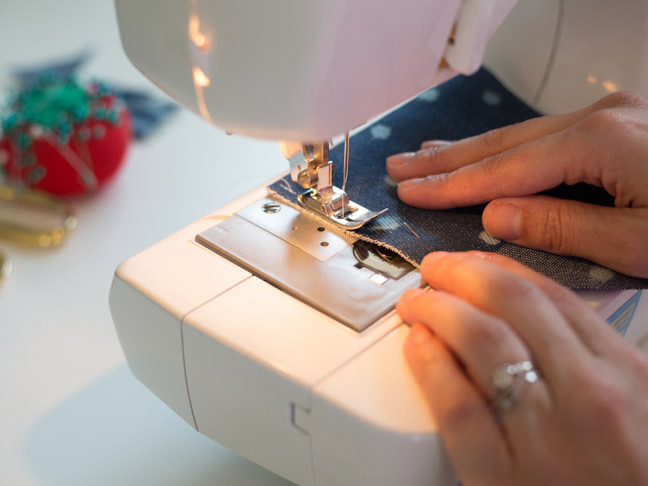 Step 6: Trim away the excess fabric on the outer edges of the stitching. Step 7: Add a Velcro closure. 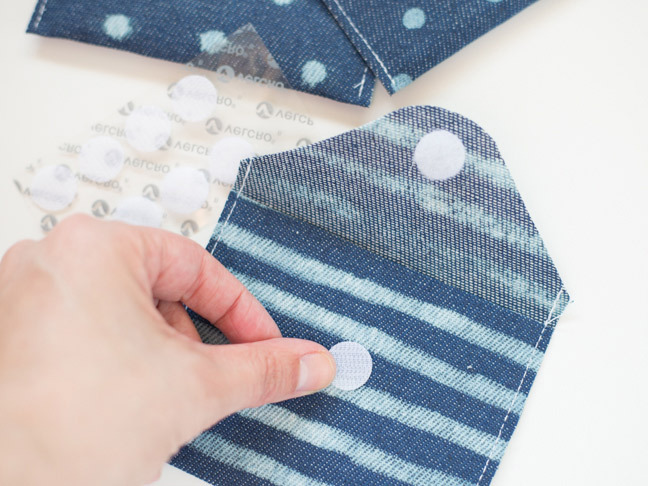 Follow the instructions on your Velcro packaging to ensure a strong adhesion of the Velcro to the fabric. 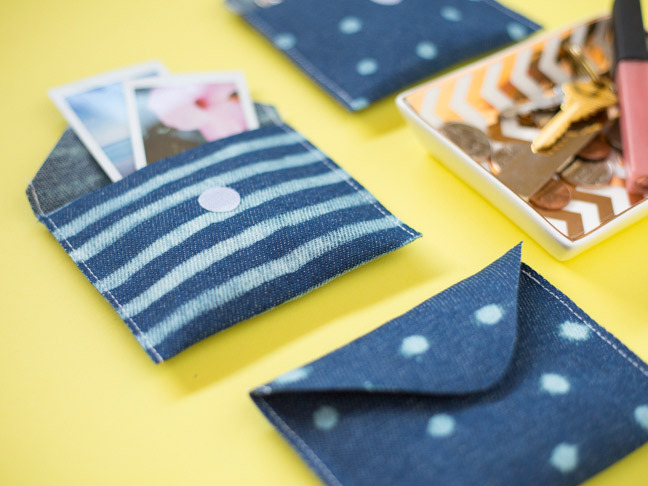 Be sure to line up the two sides of the Velcro so that they will meet when the pouch is closed. 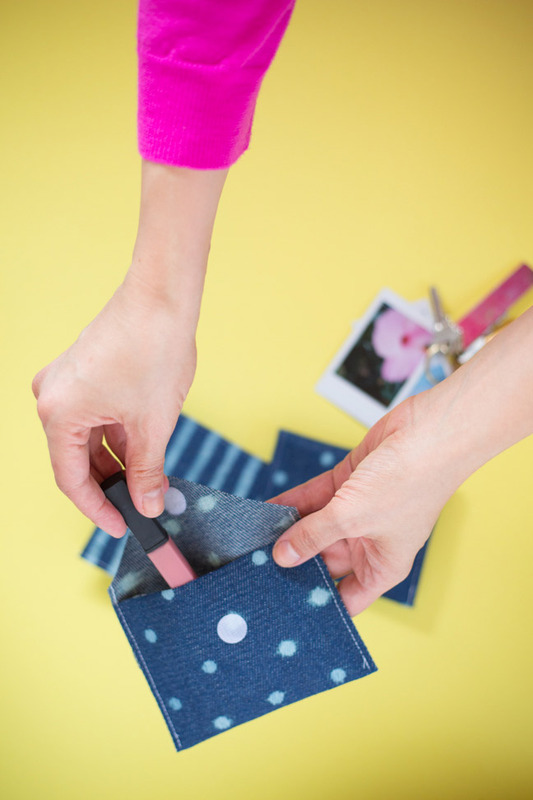 Step 8: Fill your pouches with all of your tiny belongings and pop them in your bag!